I forgot to mention in the chapter - the title page says "the red and white colors of fear," this is referring to Sekia and Hakua. You write Sekia's name with the character for "red" and Hakua with the character for "white." Enjoy. 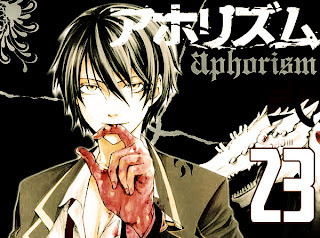 Aphorism ch 24 coming up next. there's another one coming right up! thing that's wanted on the web, somebody with somewhat originality. useful job for bringing something new to the internet!